New ZEN software (2.0.17) is available for download today. 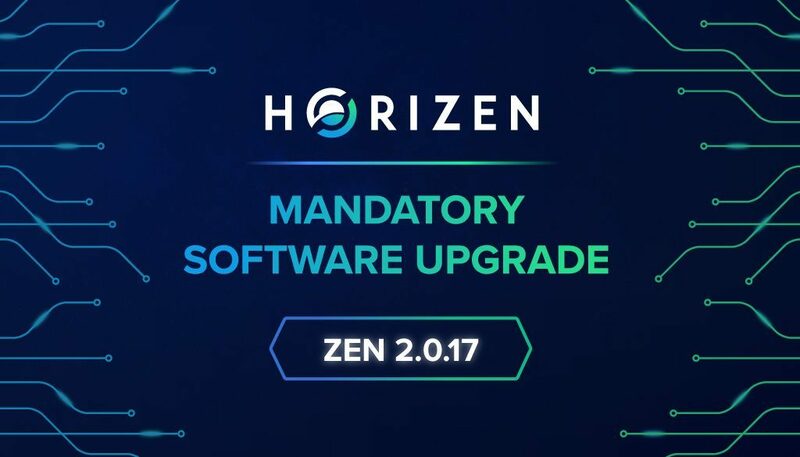 All exchanges, mining pools, node operators, and full node wallet users must upgrade to ZEN 2.0.17 prior to block #505212, which will occur around the 26th of April. ZEN 2.0.17 replaces the current version 2.0.16, which is set to deprecate (no longer run). The focus of this version is the introduction of the transaction confirmation finality RPC method, the blockmaxcomplexity parameter and the fix of the Horizen shielded address display bug (more info HERE). In particular, the transaction confirmation finality RPC method gives an indication of the amount of blocks that need to be mined to revert a transaction. This method also considers eventual existing forks, and it’s in line with the system implemented today. The blockmaxcomplexity parameter limiting transaction inputs for GetBlockTemplate brings improvements to speed up execution time of the GetBlockTemplate RPC call. Finally, with this software release, we are implementing the fix of the Horizen shielded address display bug, that could cause a potential error in the displayed amount of available funds in shielded sprout addresses. The next software upgrade (2.1.0) will bring the full implementation of Sapling and other features to be announced. Please update your ZEN software before the 26th of April. 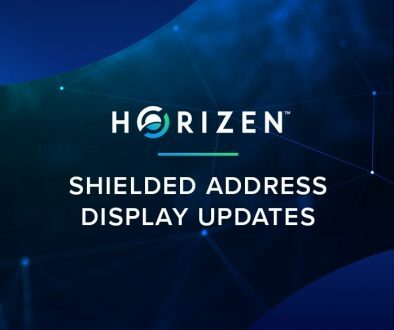 fix of the Horizen shielded address display bug. What happens if you do not upgrade before 26th of April? Exchanges and Partners: you will not be able to access your funds until you upgrade to the latest version. Pool operators: ZEND will not work and thus you will not be able to mine ZEN until you upgrade to ZEN 2.0.17. Node operators: ZEND will not work and thus you will not be eligible to earn ZEN until you upgrade to ZEN 2.0.17. Full node wallet users (Swing wallet, Sphere by Horizen): you will not be able to access your funds until you upgrade to the latest wallet version. Please let us know if you have any questions. Thank you for your continued support!